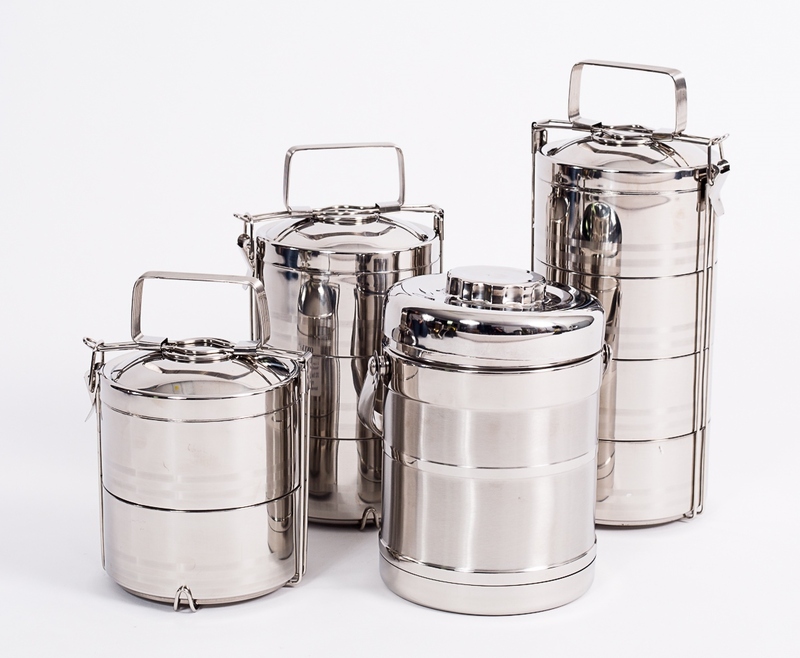 Onyx Stainless Steel Food Storage Container, Lunch Box, Bento Box and or Tiffin! No matter what you call this baby, it's still a beautiful, two layered doubled walled lunch box that will be the envy of the lunch room. It will keep your food hot or cold for hours! Perfect for school, work or picnics. Easy to clean, easy to use. 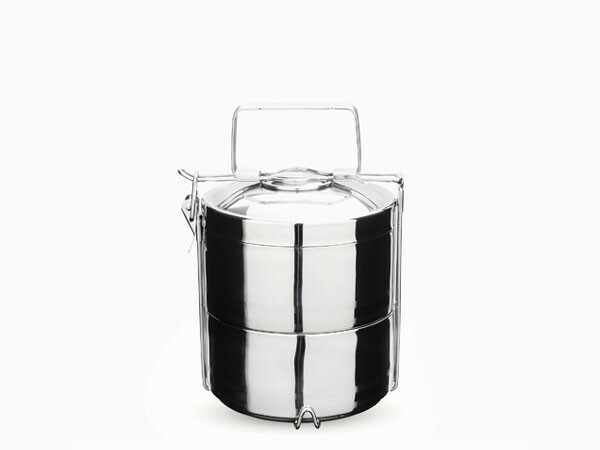 It is made from #202 food grade Onyx Stainless Steel. 14cm/5.5" in diameter. I have food allergies and have to take my food with me everywhere I go, and this little lunch box is perfect! Double walled so my food stays hot (or cold) for hours and the design is super shiny and well constructed. Totally leak proof! love, love, love this cute little lunch box. I said little, but it's not. each compartment holds 3 1/2 c of soup, salad, casserole or whatever you want for lunch, and being insulated with double walls it stays at a healthy temp. till you eat it. 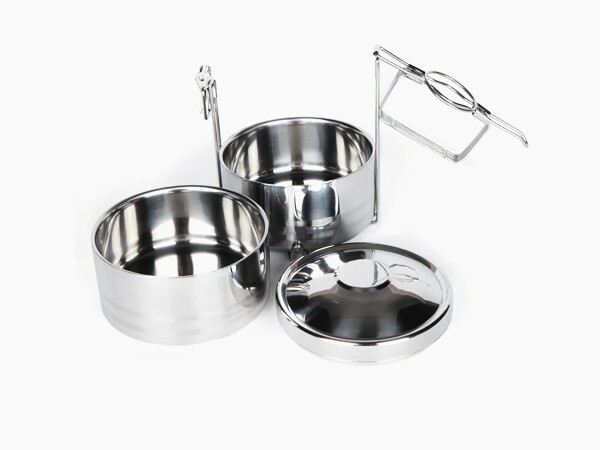 Yet it is very compact and the bowls come away from the rack for individual use too. A very good thing Martha!